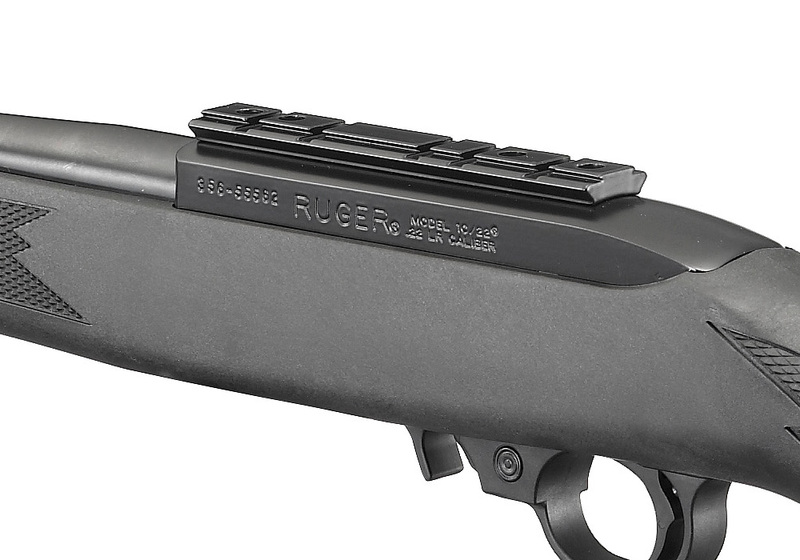 For over 50 years, the Ruger® 10/22® has been America's favorite .22 rifle. 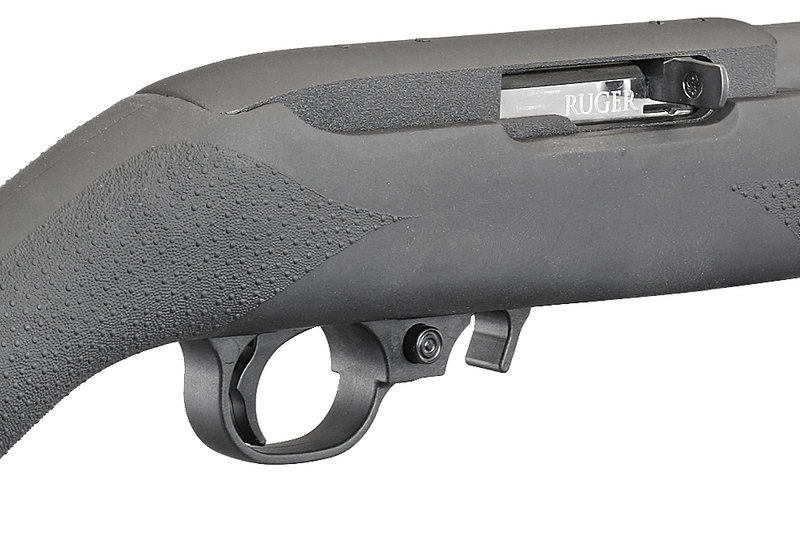 This legendary action is a tried and true Ruger design that ensures consistent, reliable performance. 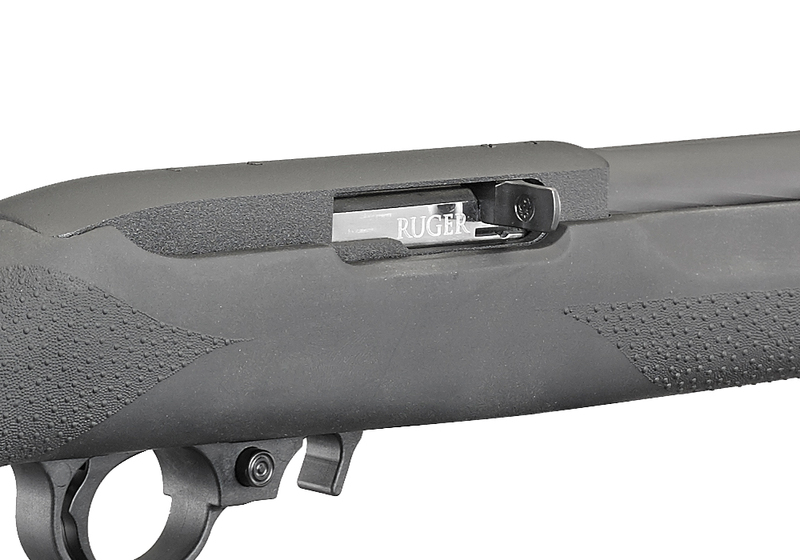 Detachable 10-round rotary magazine features a unique rotor to separate cartridges and provide reliable feeding. 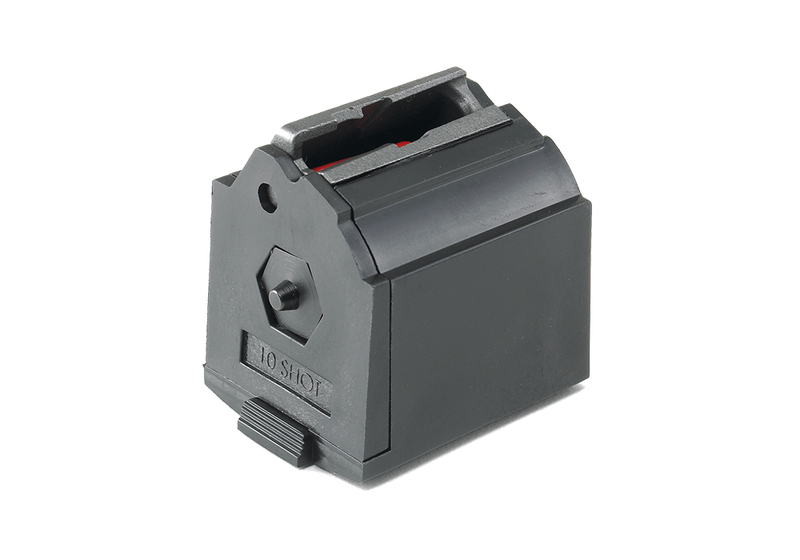 Easy-to-use, prominent magazine release provides smooth, no-fuss removal of flush-mounted magazine. 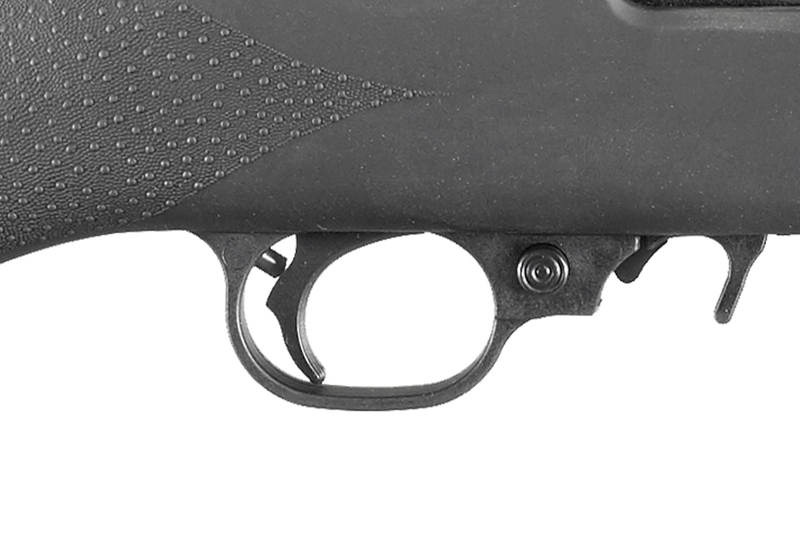 Cold hammer-forged barrel is locked into the receiver by a unique, two-screw, V-block system. Positive, push-button, cross-bolt manual safety. 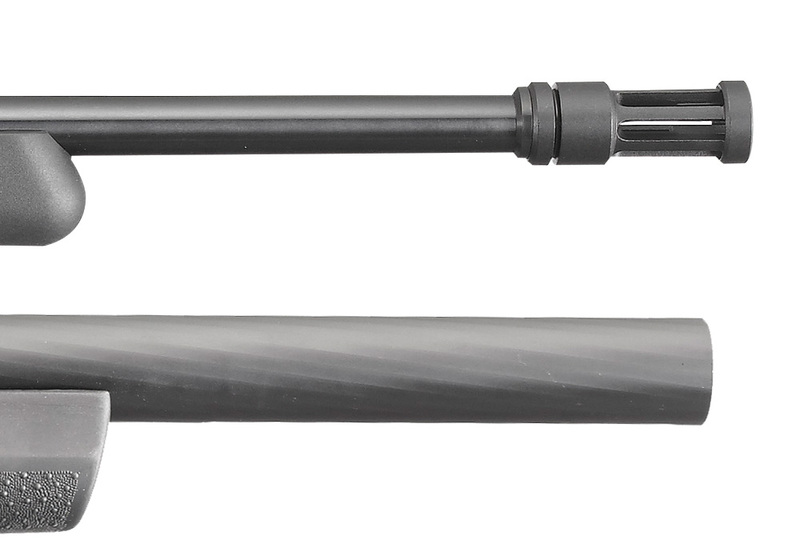 Combination scope base adapter for both Weaver-style and .22 tip-off scope mounts included. 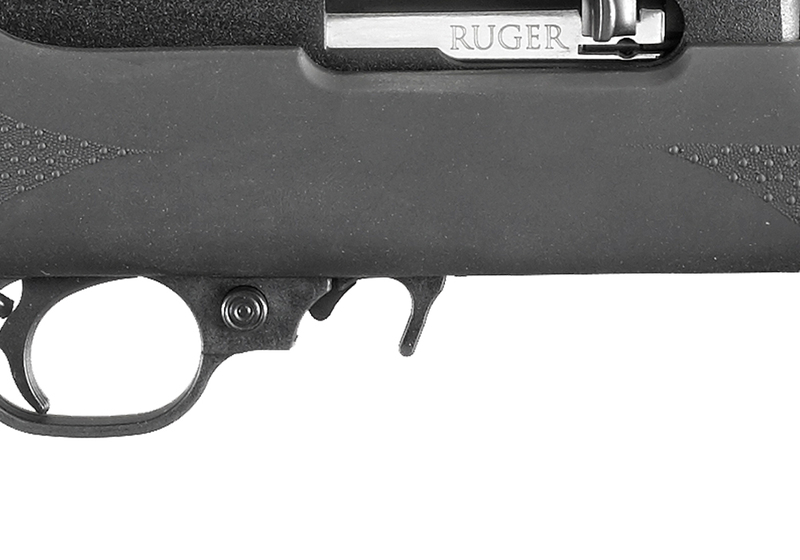 Heat-stabilized, glass-filled, polymer trigger housing assembly is precision made of high-tech material for improved manufacturing tolerances, impact and abrasion-resistance and an unmatched ability to withstand the elements.